The iconic American retailer Sears has declared bankruptcy. Sears has limited time to liquidate or find a new owner. Many Sears stores will close. Many Sears employees will lose their jobs. Sears was a victim of poor management and ruthless competition from brick and mortar companies like Target, Lowes, Home Depot, and Macy's as well as online behemoths like Amazon. This is a good time to visit your local Sears outlet and buy something on sale. It is a bad time for a Sears employee to demand better pay or conditions or threaten to quit. Sears workers lack leverage. Sears is looking to shed workers and cut costs. It probably won't survive. It would be laughable for Sears workers to say they deserve more money because they work at a historic American company. That's not how business works. Unfortunately the WNBA players union isn't run by people who understand business, demand, profit and loss, leverage, or who pay any attention to money losing enterprises. The WNBA players, apparently miffed that they neither earn the money that the NBA players earn or share the same revenue percentage that NBA players share, decided in early November to opt out of their collective bargaining agreement, presumably of course, hoping to make more money. The players’ union of the W.N.B.A. has opted out of its collective bargaining agreement, it announced on Thursday. The deal will now terminate next October, at the end of the 2019 season. It was signed in 2014 and had originally been set to run through 2021. The decision could set up a showdown between the women’s basketball league and its players, who have been vocal about what they contend is low pay and sometimes poor working conditions. “We look forward to our upcoming discussions and negotiating a new agreement with the league,” the union said. The W.N.B.A. has been a consistent money loser. 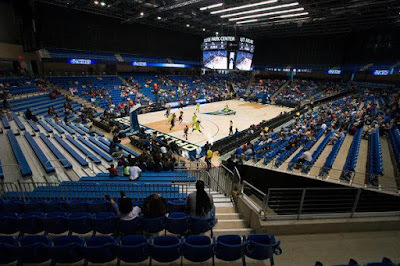 “The tickets are very inexpensive, but even at low prices, we’re not selling enough tickets to run a viable business,” Adam Silver, the commissioner of the N.B.A., told Bleacher Report. At the end of the day, the consumer always wins, and right now we don't have a winning consumer proposition. "And I'm frustrated with that." 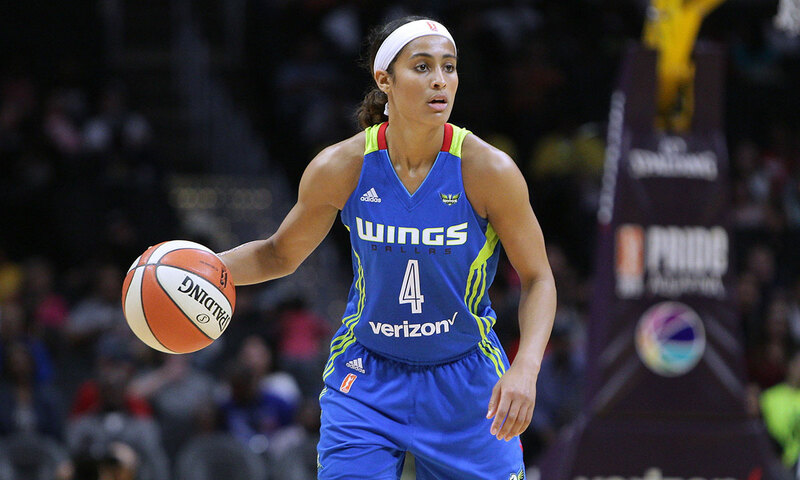 I’m the highest paid player on the Dallas Wings, and my salary is in the low six figures. [Harrison Barnes, the highest paid player on the Dallas Mavericks, made $24 million last season.] He’s definitely younger than me. Do you know his stats? Was he an All-Star? I mean, it doesn’t matter. But last year, I was First Team All-WNBA, which only goes to five players. I was also a WNBA All-Star for the third time. Well I have no issue with workers wanting a bigger slice of the pie. Everyone wants that. The problem is that the WNBA is a financial disaster. No one watches it on television. No one attends the games. No one purchases the merchandise. No one is interested in WNBA derived video games. No one wants to buy advertising on WNBA televised time slots. No intelligent TV program/station director devotes key time slots to WNBA games because those hours are not profitable. The WNBA can't charge premium ticket prices. The WNBA has trouble giving away tickets. The WNBA has been one gigantic dumpster fire for over two decades. The WNBA would not exist if the NBA didn't subsidize it. Those are facts. This is not a situation where WNBA partisans, all three of them, can blame men. 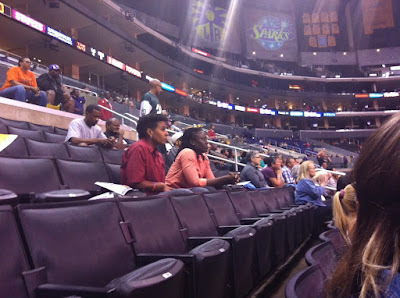 Neither men nor women watch the WNBA in large numbers. Even if all men irrationally hated the WNBA and refused to watch from pure sexism, a high popularity, heck even modest popularity among women would be more than enough to keep the league afloat and provide better pay to its players, witness successful female driven entertainment such as Twilight, The Real Housewives of...., Scandal, Titanic, Girls Trip, 50 Shades of Grey and so on. But women en masse don't support the WNBA. Some sports or artistic endeavors are just not popular or financially rewarding. I couldn't tell you who the best US bowler is but I know that he's making less money than a second string NFL quarterback. Some writers spend their entire life earning less money in any given year than an underpaid accounting analyst. The guy cleaning the office bathroom works just as hard completing his tasks as the CEO does. But we know who makes more money don't we? Do we know why? Could it be that that are fewer people with the skills to run a worldwide multi-billion dollar company with worldwide sales than there are people whose biggest daily decision is which scent of lysol to use? It is what it is. Your financial value in a free market isn't intrinsic. It's based on how many people want to purchase your product and how eager they are to do so. In the case of the WNBA the answers are not many and not very. This doesn't say anything about the inherent skill or value of professional female basketball players though I do believe that anyone attempting to compare them to male basketball players has lost their ever loving mind. The women players work hard. They deserve respect. But after two decades it's clear that the American sports fan won't be a huge consumer of WNBA basketball. Short of forcing people to watch WNBA games on pain of prison the WNBA will never have mass viewership. Arguing that ownership should be willing to lose more and more money forever and ever to prove their devotion to the cause is not a stance based in finance or logic but emotion. The people who are most vociferous about the WNBA tend to be adamant that men and women are identical in their capacities, interests, and goals or would be or should be were it not for sexism. Well that's not true. And the empty seats at WNBA arenas show that. The experiment has been run over and over again. You can not trick, market, guilt trip, shame or bully people into watching or supporting something they don't care about. If the WNBA were purely about dollars and cents the owners would shut it down. It takes some nerve to essentially be a charity case and complain you're not paid enough. Armored Truck Loses Cash: Do You Keep It? Who Peed In Your Corn Flakes? You Found $7.5 Million: Now What?? ?